This post is a collaboration with our partner Amity, a powerful customer success software platform. 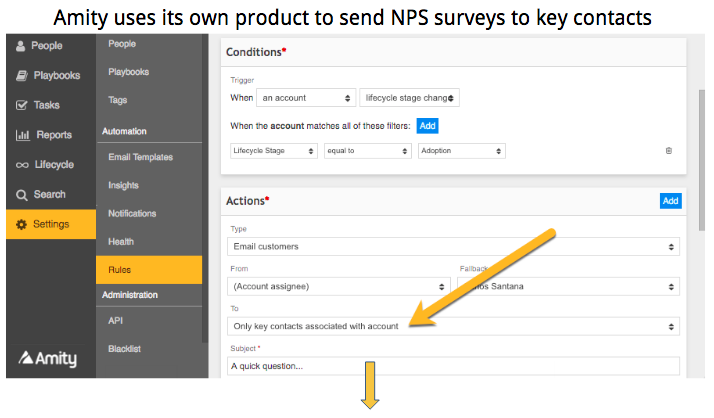 NPS is a simple one-question survey in which you ask your customer, “How likely are you to recommend our product to friends or colleagues?” Because NPS is a strong indicator of customer satisfaction across support, product, success, and more, it’s meaningful for all departments. Not only does it indicate how loyal your customers are, it also helps you gauge the entire company’s customer centricity. At the same time, you can automatically survey end users of your application at a regular cadence — say every 90 or 120 days — depending on how rapidly your product is evolving. Having your finger on the pulse of end user sentiment can help you avoid surprises in your next QBR. Maximize response rate and foster relationships by segmenting users and sending NPS surveys via different channels. Analyze the results of your NPS program quickly. 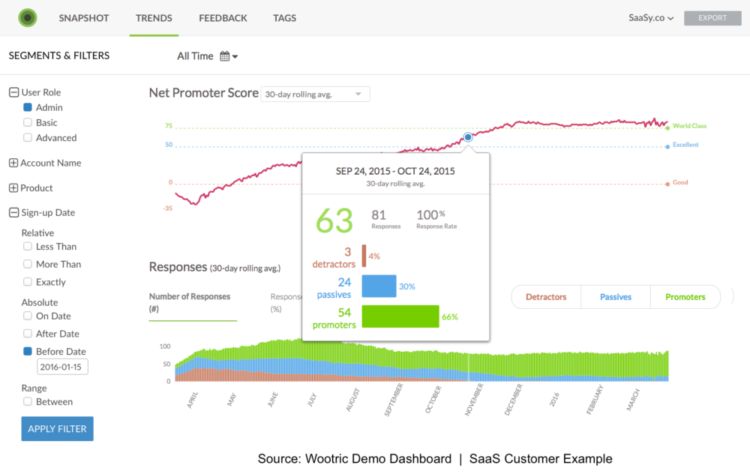 It is possible to analyze Net Promoter Score data in spreadsheets but most SaaS companies find that cumbersome. Many opt to use a platform to aggregate feedback and analyze the data. Looking at your NPS by customer segment — by key contacts vs end users, for example — can give you insights into the “why” behind the score. Close the loop: Be sure every customer or user that answers your survey gets a response from you. If you’re curious about how NPS can super-charge your Customer Success efforts, be sure to RSVP for our upcoming webinar, on July 12! Retain more customers. 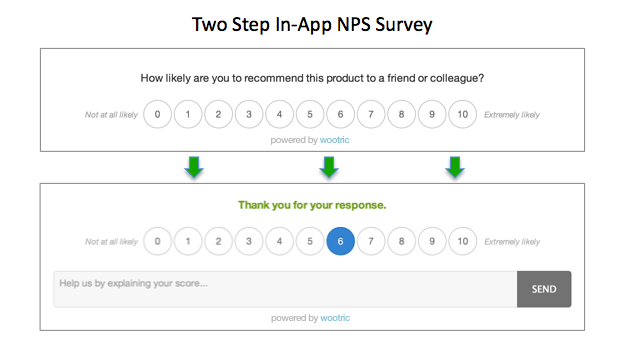 Sign up today for free Net Promoter Score feedback with Wootric.